With the growing consciousness of system security, more and more people get used to create a long and complicated password for their Windows log-on. But the chances are they often forgot the password for this or that reason. Therefore, here I recommend some effective Windows Password XP Cracker for those. What is Windows XP Password Cracker Program? Windows XP password recovery program is the third party software that is used to recover, or reset lost user and administrator passwords used to log on to Windows XP system. How to choose the best program? 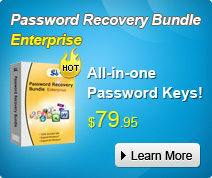 Actually, there are so many free and premium Windows Password Cracker programs on the market. Each of them has the advantages and disadvantages. Therefore, choose one according to your specific condition. 1. Ophcrack: The Ophcrack Windows Password Cracker is fast and easy enough for a first time users with a basic knowledge of Windows. You don’t need to log onto windows to be able to crack your lost password. Simply download free ISO image on its site, burn it to a CD and boot from the CD. The Ophcrack program starts, lists the Windows user accounts, and proceeds to recover the password automatically. 2. Offline NT password & Registry Editor: It works differently than most password recovery programs in that it removes your XP password instead of recovering it. Enable to your boot a burned CD created with the Offline NT password & Registry Editor ISO file. After running the program, you can access to your Windows without entering a password at all. 3. PC Login Now: Like Offline NT password & Registry Editor, it deletes your current Windows XP password and allows you to log in to system without a password. The trade-off with PC Login Now is that it causes Windows to detect a possible hard drive problem on the first reboot after erasing the password. 4. Kon-Boot: It works like: burn the program to a CD, boot to it. Unfortunately, it doesn’t support 64-bit versions of Windows. 5. Cain &Able: It requires to access to Windows under an administrator account. So it is a useful tooll to recover passwords to accounts other than administrator. 6. LCP: You need access to a user account on the computer and install the program inside of Windows to accomplish the recovery. What’s more, it is a little complicated for new users. 7. John The Ripper: Not absolutely free, the application itself is free, but the wordlists by John The Ripper to recover password do cost. Furthermore, it is operated at the command line making it reserve for the very advanced users. Tips: If you want to get a more easy-to-use and effective solution to crack Windows XP password, just try a premium software. Windows XP password Cracker is just the great utility to crack Windows XP password with user-friendly interface. What’s more, it equally works well with Windows Vista, Windows 7. 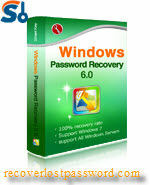 How to Recover Windows password?